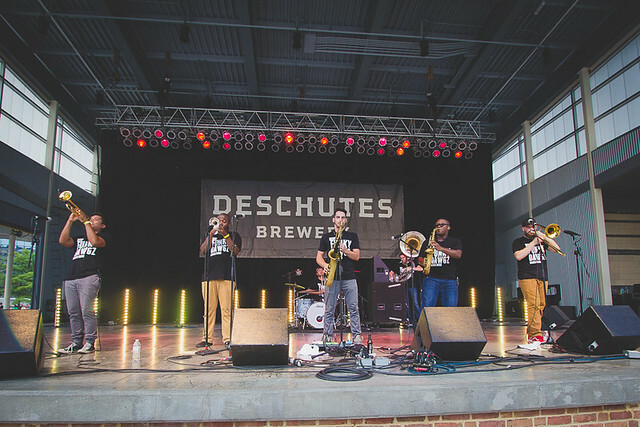 The Deschutes Street Pub is returning to Downtown Roanoke in Virginia’s Blue Ridge for its second year of fun! The free event will be held in Elmwood Park in the heart of downtown and it’s a great way to enjoy delicious craft beer from Deschutes Brewery, unique culinary creations, live music, kids activities and more. It’s a block party the entire family will enjoy! 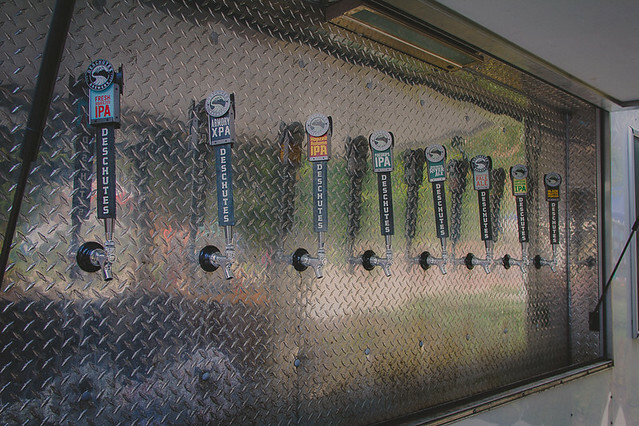 With over 50 beers on tap, including popular options like the Mirror Pond Pale Ale, Fresh Squeezed IPA, and Black Butte Anniversary Series, as well as guest taps from Twin Creeks Brewing Company, Right Mind Brewing, and others, you’ll have no trouble staying refreshed at the 400-foot pop up pub. There will also be specialty food pairings and cooking demonstrations provided by local chefs, a live art demonstration of art painted with beer, and various kid-friendly activities. 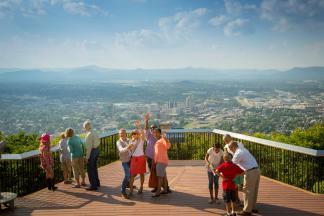 Here are some other details to help you get ready for this awesome Blue Ridge Day. It’s free to attend the Deschutes Street Pub! Beer will be available via purchasing beer tokens that are for sale for $5 each. One token will get you a 14 oz. beer. You’ll also be able to purchase various Deschutes Brewery swag and items from Hydro Flask, Humm Kombucha, and KEEN Footwear, the official partners of this year’s event. You can also pre-order your beer tokens and Hydro Flask True Pints online. Click here. 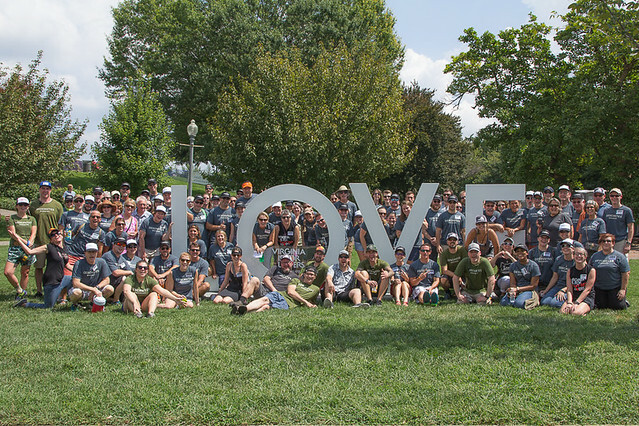 Proceeds benefit the Roanoke Outside Foundation, Pathfinders for Greenways, Bradley Free Clinic and the Blue Ridge Land Conservancy. It’s a great event for a variety of great causes! Pet Friendly? Yes! Dogs are allowed at the event, as long as they&apos;re kept on leash and are comfortable with being around large crowds. Remember to keep plenty of water available for your pup and don&apos;t forget to also account for the potential of hot weather. 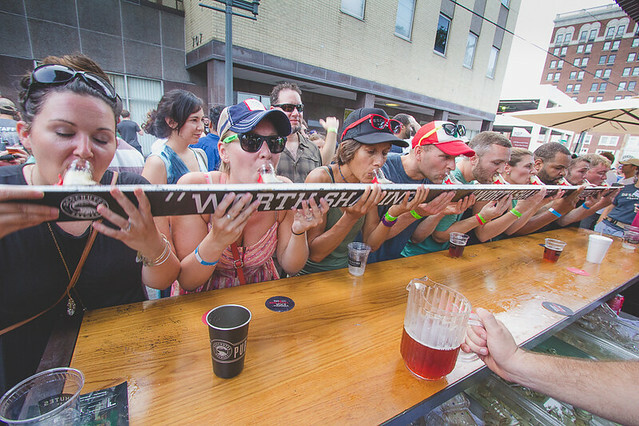 Take your Street Pub experience to the next level by purchasing VIP tickets. A $50 ticket will get you access to the exclusive VIP Lounge, presented by Black Dog Architectural Salvage and Martin’s Downtown Bar & Grill. Purchase your VIP tickets now by visiting the Deschutes Brewery website. Check out the Event Facebook Page for more information about Street Pub and to share the details with your friends. 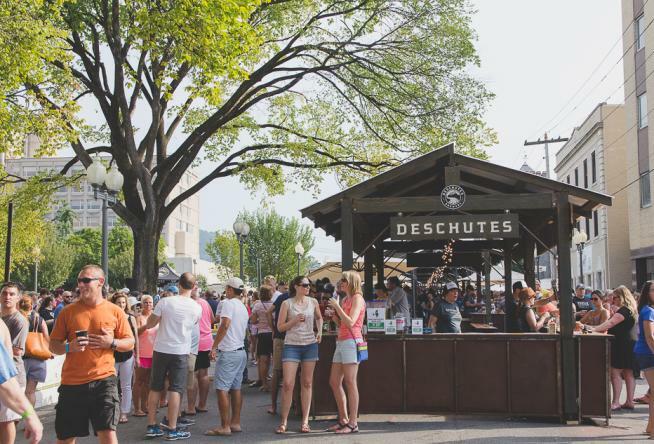 Remember to also follow Deschutes Brewery on Facebook & Instagram and to tag your posts with their #StreetPub hashtag. There will also be a Street Pub geofilter available on Snapchat. You could also use the local #BlueRidgeDay hashtag on Instagram for a chance to potentially be featured on our visitvbr Instagram page! 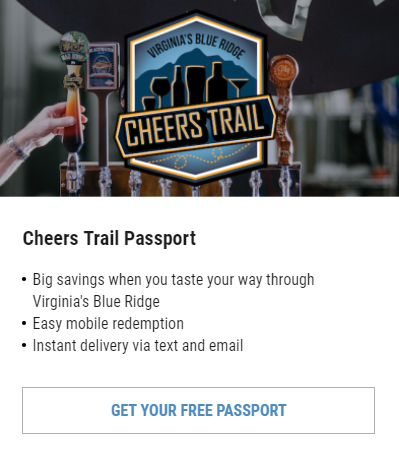 Deschutes Brewery is an Oregon-based craft brewery that selected Roanoke in Virginia’s Blue Ridge as the site of its East Coast location that’s projected to begin operations in 2021. However, Deschutes isn’t wasting any time becoming part of the local craft beer scene in the region, as its distributed at many major grocery stores and local beer shops, as well as restaurants and bars. This is the second year Roanoke has been included as a stop on the summer Street Pub tour, and we’re excited for the upcoming opening of the new Deschutes Brewery Tasting Room at 315 Market Street SE in Downtown Roanoke later this summer.